Shout out to Cy Chittenden (10th overall male) and Dalia Frias (8th overall female) on finishing in the top 10 out of all the competitors of the day! Congrats to all of our runners and coaches on a great day! If you combine the top five runners across the grade levels our boys team finished with the 5th fastest team time of the day and our girls team with the 2nd fastest team time of the day! Thank you Julie Carew for hosting the team for the pasta dinner Friday night! MBX Donation LINK for Fair Share or print out FORM to mail. Print out, sign and return alternate transportation FORM if you want to take your athlete home on your own post meet. If your athlete doesn’t have a uniform yet, contact Abby Hacohen ASAP!! Thank you everyone for helping out or running our 2 mile annual Sand Run fundraiser! We had sunny skies, an energetic crowd and one of our highest turn outs ever! HUGE Thank you to Nancy Beck for spearheading the MCXC Yard Sale Fundraiser! We made over $2,000 in one Saturday morning! Thank you Coach Renee, Coach Jeff and Coach Calderon for your time and support of the event, as well as all the athletes and families that donated items, brought food and helped out during the event. It was a true team effort! Xavier Court runs to a 15:19, 6th place finish! Way to go Xavier! Full boys varsity race results HERE. The girls raced to a 8th place team finish, placing better than they were ranked. Way to go girls! Full girls varsity race results HERE. Congrats to the girls varsity team and Xavier Court on qualifying to the State Meet next week! The top 7 teams from each division qualify for the state meet. The girls placed 6th as a team and the boys placed 11th. Xavier Court placed 8th individually and qualified to go as an individual. Congrats to all runners on a hard fought battle! Girls Varsity Results: The team was led by Olivia Hacohen in 28th place but the highlight of the day was the team effort by all that earned them a spot to the State Meet. All runners behind her moved up significantly in the last half of the race, with Brooke Inouye and Lucy Atkinson within seconds of Olivia in 31st and 35th place. Pnina Tofler had a solid day as the #4 runner and Tia Pappas moved up 24 spots late to be our 5th scoring runner. Together the girls placed 6th as a team. Boys Varsity Results: The boys team was led by Xavier Court in 8th place in the most competitive race of the day. Our boys went for it from the gun, gave it all they had but came up short in 11th place. The top five individuals not attached to a qualified team earn individual spots to the State Meet so Xavier Court will be moving on to the State Meet individually. Congrats to Xavier and to the boys team on a great season!! Both teams successfully qualified for CIF Finals! Boys Varsity Xavier Court ran the fastest time of the day! Congrats to all the runners on a great season and good luck to our varsity teams as they move on to CIF prelims next Friday! Boys JV: Congrats on a 2nd place team finish led by Billy Atkinson in 2nd! Girls JV: Congrats on a 3rd place team finish led by Tia Pappas in 3rd! 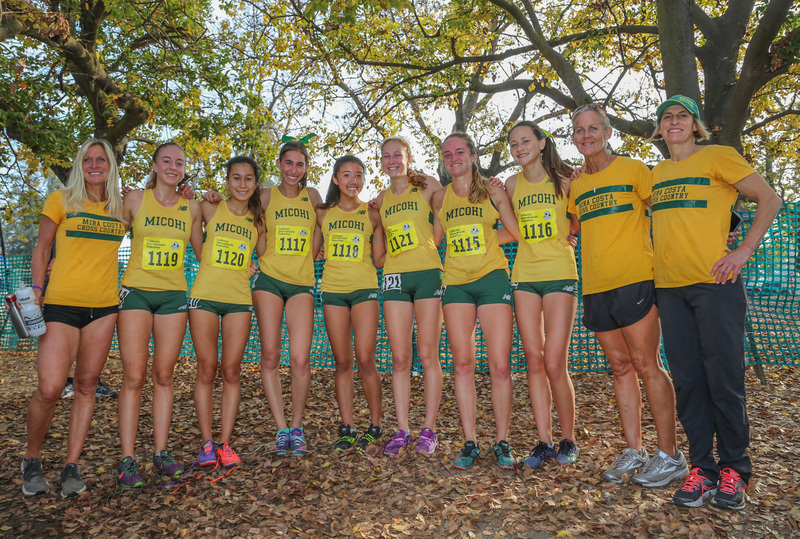 Girls Freshmen: Congrats to our Bay League Champs, led by individual winner Lauren Chiu! Boys Freshmen: Congrats to our Bay League Champs, led by individual winner Will Garrell! Girls Varsity: Congrats on a 2nd place team finish led by Brooke Inouye in 3rd! 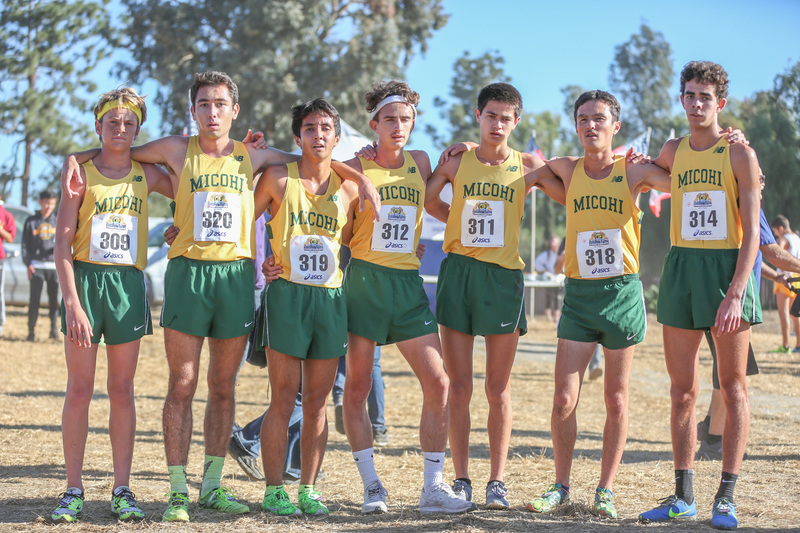 Boys Varsity: Congrats to our Bay League Champs, led by individual winner Xavier Court! Glow Stick Workout FUN! Pictures from the festive workout HERE. Thank you to Damian Court for the fun atmosphere and the great pictures! Boys Junior Varsity Led by Russell Blakey in 31st place, the team finished 14th out of 35 teams. Girls Junior Varsity Led by Savanna Huskins in 34th place, the team finished 7th out of 24 teams. Boys JV National Championship Led by Evan Martinez in 13th place, the team finished 8th out of 13 teams. Girls JV National Championship Led by Serene Azafrani in 10th place, the team finished 5th out of 9 teams. Boys Team Sweepstakes Led by Xavier Court in 4th place, the team finished 8th out of 18 teams. Xavier Court broke the school record for this course by over 15 seconds and posted the fifth fastest time across all competitors! Girls Team Sweepstakes Led by Olivia Hacohen in 37th place, the team finished 12th out of 16 teams. Boys Freshman Led by Will Garrell in 6th place, the team finished 5th out of 19 teams. Girls Freshman Led by Lauren Chiu in 4th place, the team finished 3rd out of 14 teams. Boys Sophomore Led by Alex Fiorito and Thomas Velvin in 27th place, the team finished 7th out of 18 teams. Girls Sophomore Led by Neena Patil in 43rd place, the team finished 11th out of 11 teams. 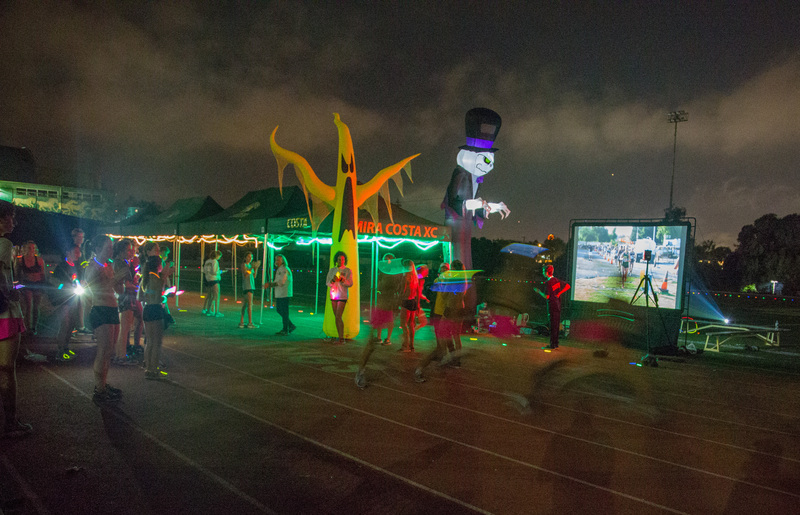 Congrats to all runners and parents on surviving the early morning start and the construction around the course! Thank you to the Courts for hosting our last pasta party of the season! Thank you to all of our photographers for your time! Reminder–we are looking for photographers for next year as our current photographers are mostly senior parents. Please reach out to us if you are interested in this for next year. Thank you! JV Boys highlighted by a 3-4-5 finish by Alan Faber, Evan Martinez and Billy Atkinson and a 2nd place team finish. JV Girls highlighted by a 3-4-5 finish by Serene Azafrani, Tia Pappas and Sofia Vialpando and a team win. Freshmen Boys highlighted by a 2-4-6 finish by Will Garrell, Cormac Carew and Colin Beale and a 2nd place team finish. Freshmen Girls highlighted by a 1-2 finish by Lauren Chiu and Jasmin Peterman and a team win. Varsity Boys highlighted by a 1-2-3 finish by Xavier Court, Quinn Satow, and Cy Chittenden and a team win. Varsity Girls highlighted by a 1-4-6-8 finish by Olivia Hacohen, Brooke Inouye, Cara Chittenden and Lucy Atkinson and a team win. Village Runner Fundraiser–In honor of the 40th Anniversary of the MB 10K, Village Runner is generously donating $40 for every $140 gift certificate purchased between Oct 7-15th! Stock up on gift cards now that you can use later for gear, shoes and track spikes in the future! Highlights include the sophomore boys placing first, led by Thomas Velvin in 1st place and all five scorers in the top 15! Boys freshmen placed 3rd as a team led by Faris Succari and Colin Beale in the top 15. Girls varsity placed 4th as a team led by Pnina Tofler, followed by Tia Pappas and Sofia Vialpando in the top 15. JV girls placed 6th as a team led by Amanda Costley. Freshmen girls placed 4th as a team led by Katherine Mooney. Evan Feliciano also placed in the top 15 in the JV boys race but we didn’t have enough runners to score as a team. 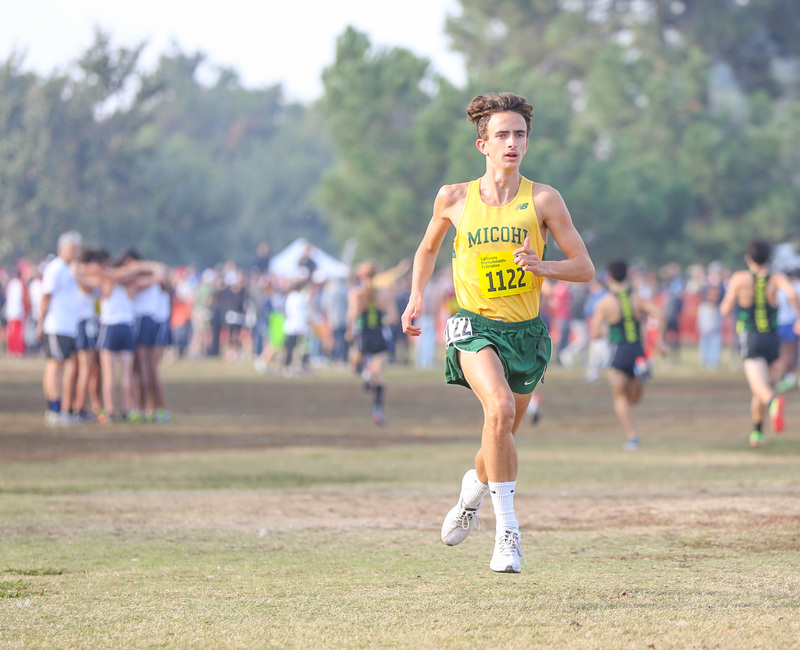 We ran six races in Arizona, Boys and Girls Sweepstakes race (the premier race of the evening), Boys and Girls Large School Varsity and Boys and Girls Large School Open.